Encoder Feedback Card: The optional encoder feedback card provides closed loop vector control, as well as, frequency or speed commands with pulse train input. The card allows you to control speed fluctuation caused by motor slip. 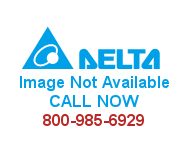 This accessory is available in Delta’s VFD-VE, VFD-B and VFD-E series.